Date: Oct 20 2018, 9 a.m. - 1 p.m.
Weigh-in and age verification will start Friday, 19 October 2018, at 0900 and end Saturday, 20 October 2018, 0800. Men are separated into 4 weight categories and women into 2 weight categories at the weigh-in. Minors ages 16-17 are separated into a Junior category. The event will start at 0900 on 20 October 2018. 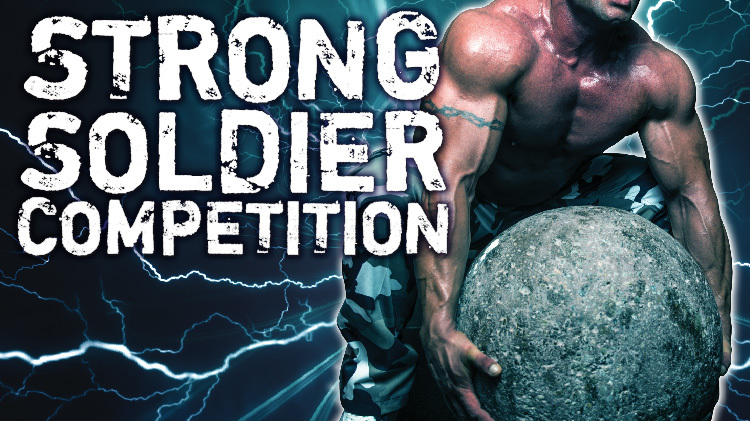 The FCSSC will give active duty Soldiers, Family Members, Retirees, and civilians from Fort Carson and surrounding areas the opportunity to participate in a five-part individual event that will measure an individual's overall strength. Participants will be separated into five different gender/age/weight category groups. In addition, a team FCSSC will be offered, in which a team member competes in his/her category and accumulates points. In each event the team member that finishes in the highest place will accumulate points. Only one member in each gender/age/weight category may score points. The team that accumulates the most points will be awarded will be considered the winner. A plaque will be awarded to the team that places first and second. Cost is $15.00/person and will be collected at time of weigh-in. HPOP Instructors and Garcia PFC Staff is offering a Strong Soldier Training Camp every Wednesday 12-1 p.m. until the competition. Camp includes instruction and a training plan for anyone planning attending the event. We HIGHLY ENCOURAGE participants to come to the Wednesday Strong Soldier camp training. We go over everything during this time. If you can't make the training, please call Garcia gym and ask for David, who will walk you through the scheduled events. Strong Soldier Competition is a #mountainpostliving program. It is a journey for greater health in mind, body and spirit that everyone, no matter their starting point or where they live, can participate in. There are so many great resources at Fort Carson and in the greater Colorado Springs community, and this wellness journey connects us to them. Whatever your preference, (individual, couples, families, groups or teams) you can take advantage of this journey and grow healthier and more resilient every day. The end result: every Soldier and Family assigned to the Mountain Post will be encouraged, educated and inspired to live a balanced life of all-around wellness. Visit MountainPostLiving.com to learn more. Cost is $15.00/person and will be collected at time of weigh-in. In-person registration only during weigh-in.